This Weekend Only, Find Us In 3 Locations! Check out our O Scale Sale, our huge collection of puzzles, and more while supporting Somerset County 4-H at the Trainmasters Winter Train meet! Click Here for details on this great event! Come See our collection of N-Scale at 40% Off, and our pre-owned collection in Springfield MA! 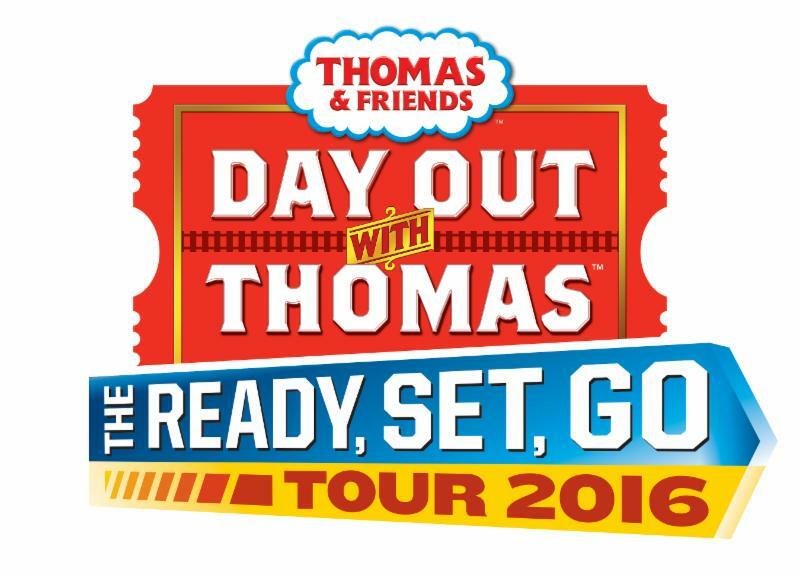 Click Here for details for this train show! Our project to reopen the railroad to Lambertville is moving forward in leaps and Bownes (HA!). Thanks to the hard work of our track gang, the section of track from Ringoes yard down to MP 6 is now in-service Class I railroad! This year, we have plans to complete the remaining 1.5 miles of track to our new stop near Bowne Station, with the goal of opening the railroad to Bowne Station during our 2017 season (and that's a lot sooner than it seems!). To make this happen without putting too much strain on our general budget, we've set a 2016 fundraising goal of $25,000. That may sound like a lot - but if we work together this is within easy reach. If each of our members generates just $150 in donations, we'll be well over halfway to our goal! Visit www.lambertvillerail.com. This is where our online fundraising campaign is hosted. Make yourself familiar with our story, goals, and what we need this money for. Tell your friends, family, fellow-railfans, and anyone else who may be interested in supporting our cause to visit our fundraising campaign atwww.lambertvillerail.com. Remind folks that we are a 501(c)(3) not-for-profit organization, so their donation may be tax-deductible. (Advise them to consult their tax-professional for details and tax advice). Direct any potential donors to www.lambertvillerail.com. If anyone (member or not) has questions about this project and would like more details please feel free to provide them with my email mike@blackriverrailroad.com! Visit our online fundraising campaign now! Sat Feb 6: Membership Meeting at 8:30 AM at Ringoes. Don't forget to review the minutes from our December meeting! We'll have lots to discuss, such as our early 2016 train schedule, some our plans for major 2016 projects, and more! Those are Chris Harding's sentiments regarding sharing his terrific image of 4-truck flat car B&LE #4607. Chris was in Industrial Engineering with the B&LE in Greenville, PA when this gem basked in an April Sunday morning's sunlight up on the nearby former LS&MS/NYC/PC-B&LE interchange at Osgood, one year and three days into Conrail. The NYC Oil City Branch (CR Clarion Secondary) through here was abandoned in 1988 and pulled up in '91, so this interchange is long gone. That's the also long-since demolished, leveled and backfilled PA Route 18 overpass in the background (nobody to now care to cut back the trees and brush, either, as was visible above the impact register crates on the near end of the car). Too bad there are no legible markings to suggest where this load was manufactured or destined on this 200-ton cap. car. Now, almost 39 years later, I wonder if it's still making 'juice', wherever it was installed. This was during the final stretch of my Senior Year at Sharpsville High School...wish I'd known about that load being there; I'd have gone up to see it! Into trains? So are we! We are always looking for new individuals to join our organization and get their hands dirty fixing track, painting coaches, running trains, and everything else that goes into keeping the railroad running! 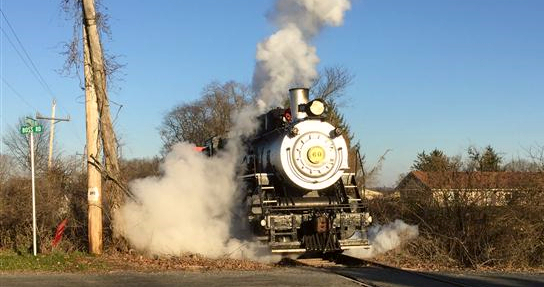 Click the button below to learn how you can join us - no previous railroad experience required! Click here to get started as a volunteer railroader! 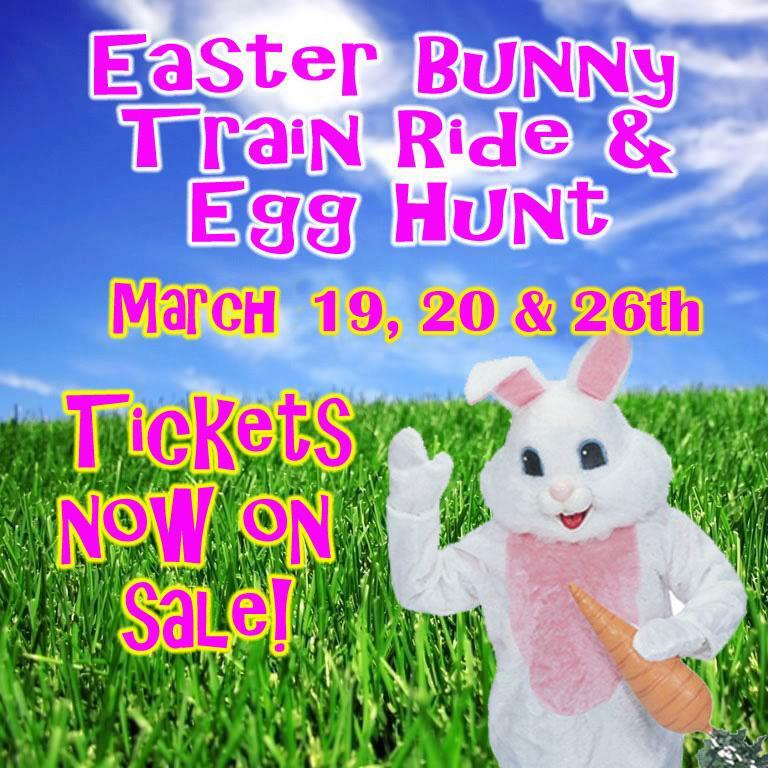 BR&W has been offering family friendly trains and events in Hunterdon County, NJ for over 50 years. 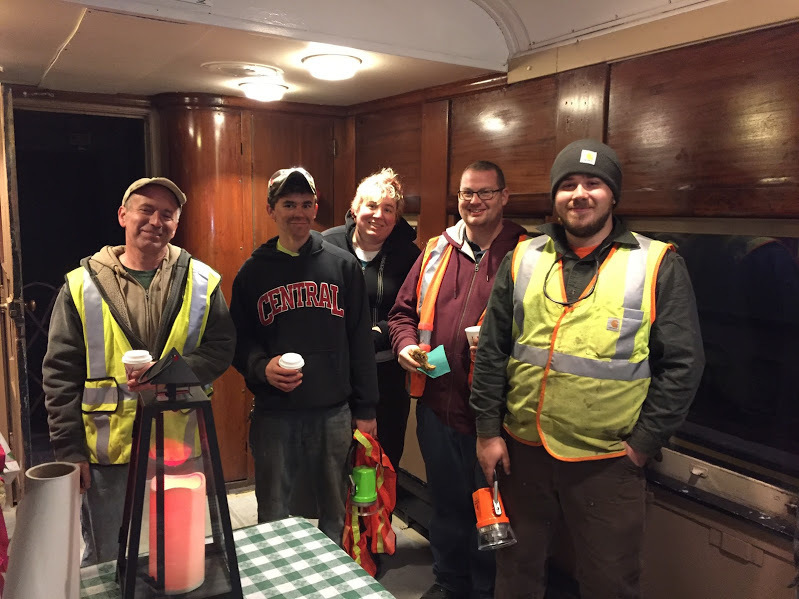 We are staffed by a dedicated group of volunteer railroaders of all ages and walks of life. 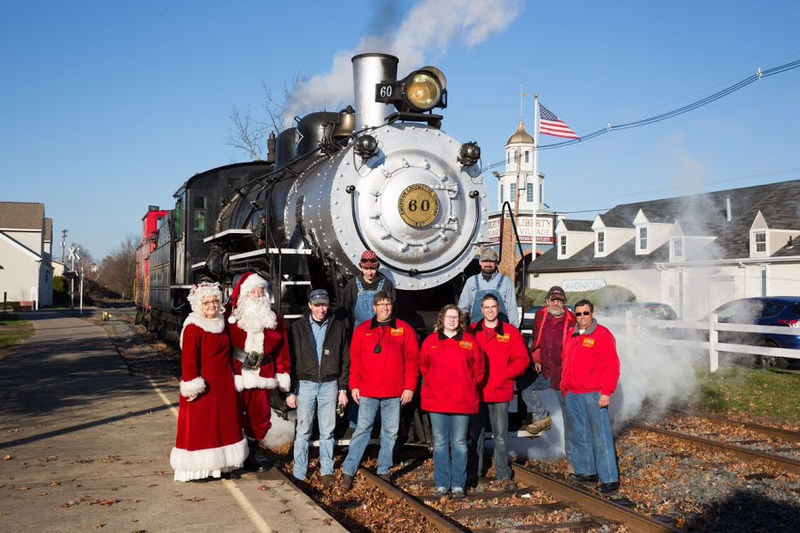 Our common interest and bond is a love of history, railroading, and a determination to ensure that future generations have the opportunity to experience old fashioned steam railroading right here in the heart of New Jersey. Our organization, a 501(c)(3) not-for-profit corp. is currently involved in many projects, including restoration of several of our historic passenger coaches dating from the 1920's. 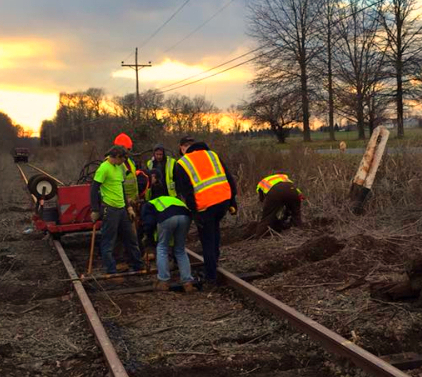 Most significantly, we have undertaken to re-open BR&W's railroad line connecting Ringoes and Lambertville, NJ. Our volunteer track crew recently finished repairs on the first half mile of track as we push to begin service to WoodsEdge farm about 2.5 miles south of Ringoes. This will allow us to begin offering new and exciting trains and events to WoodsEdge, while our crews continue working their way south to Lambertville! Learn more about this exciting project, including how you can support our efforts, by clicking here! BR&W Trains To Head South From Ringoes! BR&W is pleased to announce that several of our 2016 trains and events will be extended to feature a trip over the first portion of the Alexauken Division to be returned to service. These will be the first scheduled passenger trains to head south from Ringoes since 1997! The railroad has been reopened to Mile Post 6 along Garboski Road, allowing selected excursion trains to continue their journey approximately 1 mile south past Ringoes Station. So when can you catch the first train south? On Saturdays this Summer, we are tentatively planning on extending the last train of the day to include a trip one mile south of Ringoes! Details will be announced on our website this spring. Our crews are continuing towards Bowne Station, 2.5 miles south of Ringoes. There, we will establish a new station, platform, and picnic area to support service to WoodsEdge Farm! 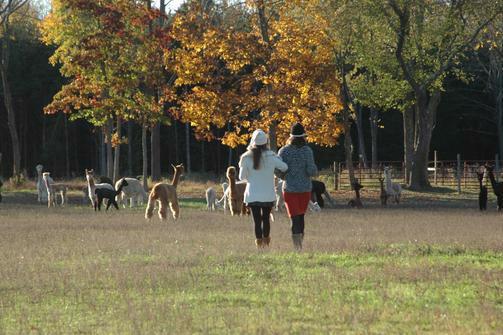 WoodsEdge Farm is a gorgeous family farm deep in rural Hunterdon County. 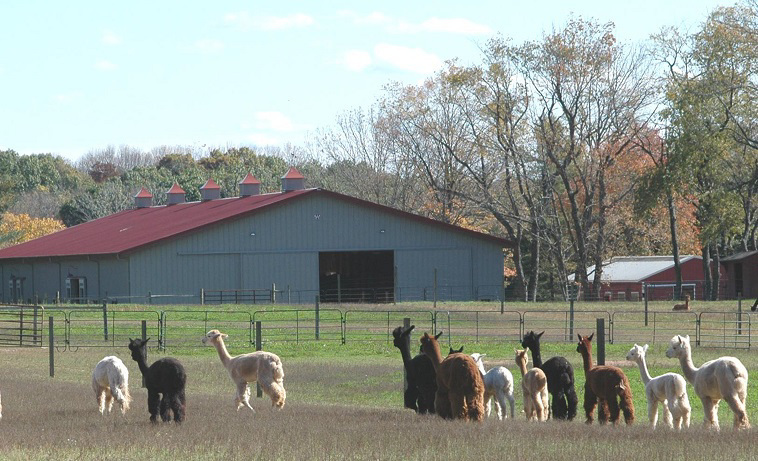 Our friends at WoodsEdge own and operate this vertically integrated fiber farm that is home to huacaya and suri alpacas, suri llamas and Tibetian yak. The WoodsEdge herds are housed in 4 livestock barns and rotationally graze 28 pastures. The Event Barn is filled with years of trophies and ribbons won by WoodsEdge breeding stock and is home of the WoodsEdge Farm Store featuring products made from hypo-allergenic alpaca & llama. 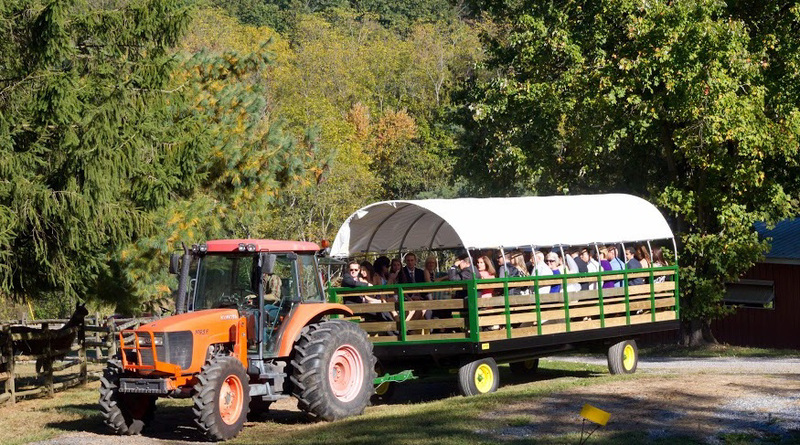 Scheduled trains featuring tours of the farm and shopping at the farm store. Charters for parties, weddings, and other functions. Other special events to be announced! We plan to reopen the remaining track to WoodsEdge for our 2017 season - but we need your support. Today we launched a campaign to raise the remaining funds necessary to complete this work! Click Here to learn how you can support us and help us reach our goal - and bring the trains back to Lambertville! HILLSBOROUGH – Demolition of the historic Doris Duke Estate has been delayed until Superior Court Judge Yolanda Ciccone hears oral arguments against the plan in her Somerville courtroom Friday, Feb. 26. Although Hillsborough Township has issued the necessary permits, the Duke Farms Foundation has agreed to hold off on the demolition until the judge has an opportunity to weigh the protests of a grass roots organization that has been fighting the plans to demolish the estate since last year. The township’s Historical Preservation Commission approved demolition of the mansion in October last year by a 6-1 vote following a series of hearings that began in July. 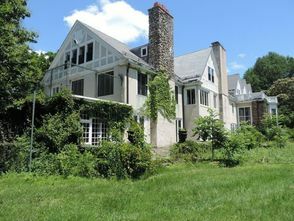 The estate, built in 1893 has been unoccupied since Doris Duke’s death in 1993, and according to the foundation, would be too costly to renovate. DORIS contends the mansion, which was remodeled and expanded several times by Doris Duke has major historical significance and should not be razed. The 2,700-acre expanse that surrounds the estate is maintained and managed by the Duke Farms Foundation with frontage along Route 206 south. There are expansive grasslands and heavily wooded areas. By design, it has slowly evolved into a popular environmental learning center and ecological preserve with bike paths and guided tours of the grounds. Brook has been filing arguments and briefs protesting the demolition for months. He expects the judge will set up a briefing schedule which will allow the foundation to file briefs in favor of the demolition with DORIS given the opportunity to reply no later than Feb. 16, according to Brooks. Secluded from public view, the Duke Farms Foundation did apply for, and did receive a permit to begin salvage of plumbing fixtures, doors, windows and railings from the sprawling 65,000 square-foot mansion, once home to the world’s wealthiest woman, who inherited a massive fortune from her industrialist father James Buchanan Duke. “If we win this, one of the first things I’ll be asking the judge is to get inside the place to inspect it and see what its condition is,” Brook said. Saturday, February 6th. 2016 at 9:00 am. Walking distance to many eateries for lunch. We encourage you to bring a non-NMRA member to this event. Click Here for the flyer detailing the winter meet! Most of us will be holding up in our homes for the next few days. No excuses to hit the workbench and get that model finished. Send in a photo when you do. Due to the Pending Winter Storm, The Big Little Railroad Shop will be Closed on Saturday January 23, 2016. In an undated photograph, Amtrak's westbound Capitol Limited is slowing down for a station stop to pick up two passengers. Lead by Amtrak 272 (F40PH) and considering the way they are dressed and suitcase, perhaps their destination will be this train's final stop which is Chicago. This train takes its name from the former B&O's Capitol Limited. For many years this train was the choice of travelers between Chicago and Washington DC.